myFICO is the consumer division of FICO, the company that essentially invented the credit score. But does a name brand equal a better credit monitoring service? myFICO offers excellent credit monitoring and identity theft prevention, but it is a bit pricier than some of its competitors, which knocks it down to our sixth-best credit monitoring company. In this article, we’ll take a look at exactly what myFICO does to help you stay on top of your credit and identity so you can decide for yourself whether it’s worth the higher price tag. Summary : Summary: myFICO offers excellent, comprehensive credit and identity theft monitoring, but it is pricier than competitors without substantial added value. Created in 1956 by engineer William Fair and mathematician Earl Isaac, the FICO score uses data analytics to predict a consumer’s likelihood of repaying a loan. FICO is not a credit bureau, but rather it provides its algorithms and strategies to the three major consumer reporting agencies in the United States: Equifax, Experian, and TransUnion. 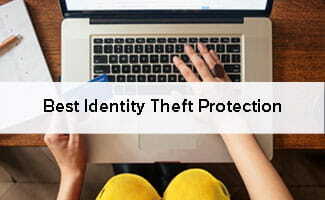 In addition to detailed credit reporting, myFICO also provides identity theft monitoring services. Identity fraud will almost certainly tank your credit score if it goes unresolved. myFICO helps you stay on top of your identity’s security with a handful of services that server to prevent theft and support you in recovery if you do become a victim. While it provides some of the most basic essential ID theft protection services, myFICO’s identity monitoring is not quite as extensive as some of its competitors’. For example, our top credit monitors keep an eye out for unauthorized address changes, use of your name in court records, and medical identity fraud—all of which are categories myFICO doesn’t monitor. Some other brands also have free trial periods, but myFICO does not. For this reason, we wouldn’t recommend going with myFICO if you want identity theft protection only. The main difference between myFICO’s two monitoring packages is that the higher-tier Ultimate 3B gives you credit information from all three major credit bureaus, whereas the lower-tier Essentials 1B pulls only from Equifax. Ultimate 3B also delivers a quarterly credit report, as opposed to 1B’s monthly credit report, and includes an identity theft monitoring feature, which I’ll explain in more detail later. myFICO proactively works to prevent identity theft by surveilling the black market for the circulation of your personal information and by monitoring the names and addresses associated with your Social Security number. You’ll get a full report when you first sign up and then receive alerts throughout your subscription if anything of concern pops up on myFICO’s radar. In the event that you lose your wallet, give myFICO a call, and a representative will get to work helping you replace any lost contents: credit cards, debit cards, checkbooks, driver’s licenses, Social Security cards, insurance cards, passports, military identification cards, traveler’s checks, and Medicare/Medicaid information. You can add information about these cards to your data profile at any time to make the recovery process faster. If your identity is compromised, myFICO provides individualized guidance through the restoration process. Depending on the situation, this can include helping you fill out an identity theft affidavit, leveraging limited power of attorney, and interceding on your behalf with creditors, government agencies, and credit bureaus. You can access all of the above features via myFICO’s website or mobile app, available for Android or iOS. Regardless of whether or not you use the app, you can adjust your preferences to receive either email or text alerts for changes in certain report data factors. 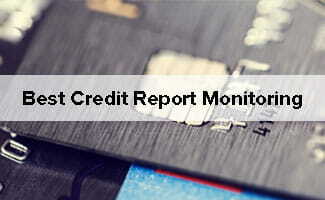 1B Report gives you access to your credit information from one bureau of your choice—TransUnion, Experian, or Equifax. This report costs $19.95. 3B Report gives you access to your credit information from all three major credit bureaus for side-by-side analysis. This costs $59.85, so you don’t save any money by ordering this one over three of the single-bureau reports. Note that the 1B Report costs the same as one month of the Essentials 1B plan and the 3B Report costs double the price of Ultimate 3B plan—without the additional identity theft prevention and tools. It almost seems worth it to sign up for a subscription, get your report, use the tools for a few months, and then cancel your subscription. However, many customers complain about the difficulty myFICO gives them when they try to cancel. If the thought of spending hours on the phone with a myFICO rep makes your head spin, it may be worth it to just get the one-time report. With myFICO and some other credit services, you’ll see a lot of references to FICO Score 8 and FICO score 9. Sort of like software updates, the method for measuring FICO scores has to be adjusted as credit and lending conditions change. Some lenders adopt new versions more slowly than others, which is why you see different lenders using different versions, and why myFICO reports include both. More weight is put on credit cards with high balances, so the more you use a credit card and the closer you get the balance to the limit, the more it will impact your score. If you make only one late payment, Score 8 is more forgiving than previous versions. However, if you make multiple late payments, they will have a greater impact on your score. This version ignores “nuisance” collection amounts when the balance is less than $100. Unpaid medical collections now have less of a negative impact on credit score because they’re weighted differently from other types of debt. Reported rental history is part of the score, which is helpful for people with limited credit history (often younger credit-users). If you’ve paid off third-party collections, these will no longer have a negative impact on your score. myFICO has a fairly thorough customer support FAQ page and active user forums, which are helpful for most problems you’re likely to encounter. Getting ahold of a human is a bit more difficult, however—myFICO doesn’t have a customer support chat interface on its website, so you’ll have to email or call 1-800-319-4433 if you want personalized help. When I emailed with questions, I got an automated response telling me that my account information didn’t match its records (I don’t have an account yet), so I’d have to call. After listening to myFICO’s needlessly long menu recording, I got through to a customer service representative who answered my questions and didn’t try to push any products on me. While it wasn’t an unpleasant experience, I’d rather be able to use a chat feature or send an email from my desk while I work on other things rather than sitting through recordings and hold music to get simple questions answered. 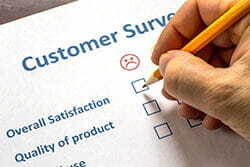 Customers have mostly good things to say about myFICO’s website usability and monitoring services. Most positive reviews call out the FAQ page and online forums as simple ways to get quick answers to customers’ questions. Most of the complaints from myFICO customers seem to revolve around difficulty in canceling their subscription and problems with the app. Note that from the website, you can still access all the same information available on the app, but if you chose myFICO over its competitors specifically for its mobile access, this is an understandably frustrating problem. myFICO, though more expensive than many of its competitors, is a worthwhile investment if you want a comprehensive, long-term view of your credit over the course of several months or a few years. It includes useful analysis tools to explain your credit scores and to help prevent identity theft. The supporting app, while not perfect, has four stars in the iTunes store and three and a half in the Google Play store. Most people don’t need credit monitoring for more than a few months or a few years at a time, so you will eventually have to deal with canceling your account. The cancellation process seems to be needlessly difficult and frustrating but is an overall minor drawback to an otherwise useful product. myFICO offers both credit monitoring and identity theft protection with the added bonus of being a trusted and well-established brand. However, it costs about $10 more per month than other companies with similar offerings. It’s not the cheapest or most feature-rich option out there, but myFICO’s credit and identity monitoring services perform as advertised and can still help you achieve your long-term financial goals. Have you used myFICO to monitor your credit? Was the subscription worth it? Tell us about your experience in the comments.